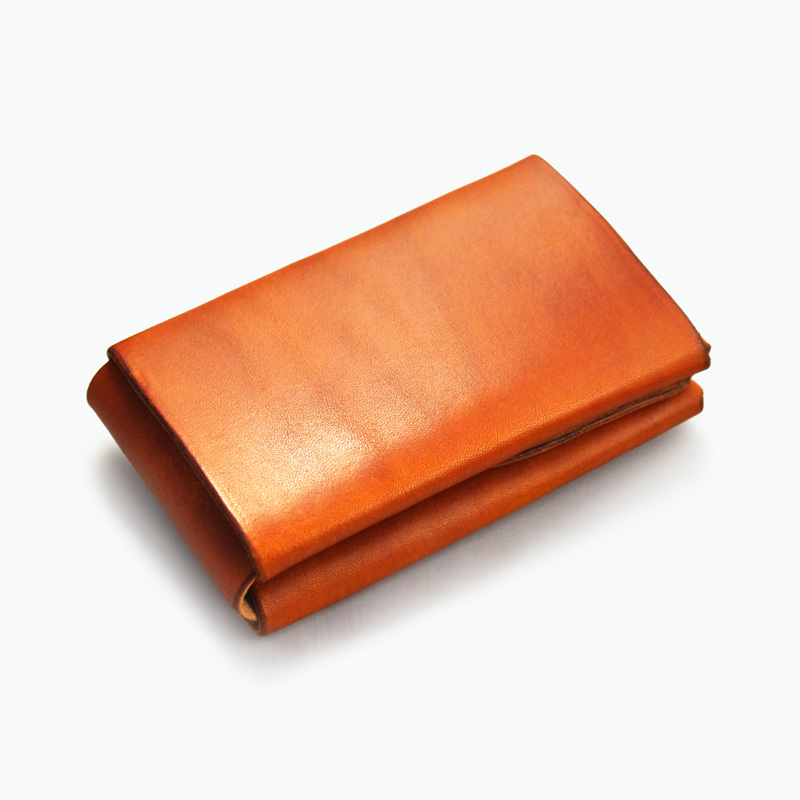 A minimal card wallet designed to be just simple and functional. 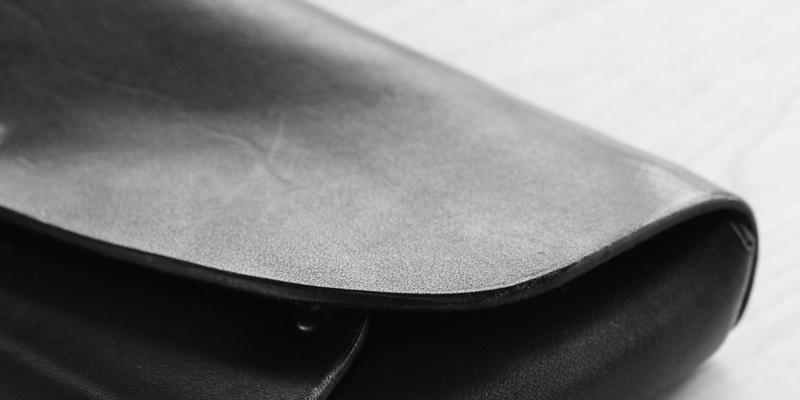 One sheet of leather is folded and hand pressed with a brass rivet. 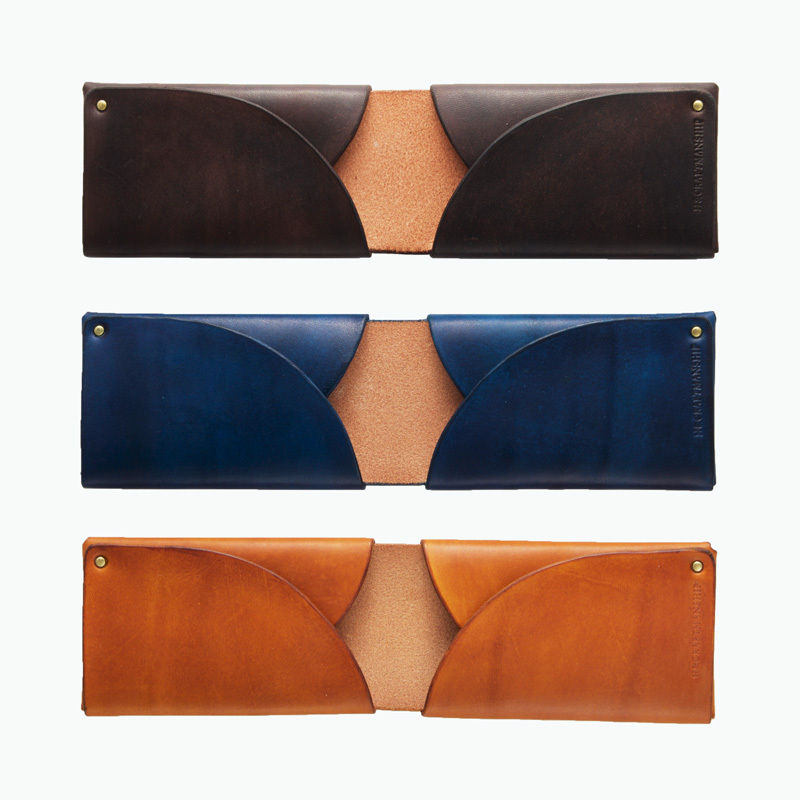 Full grain vegetable-tanned leather is hand-dyed into brown, tan and navy. 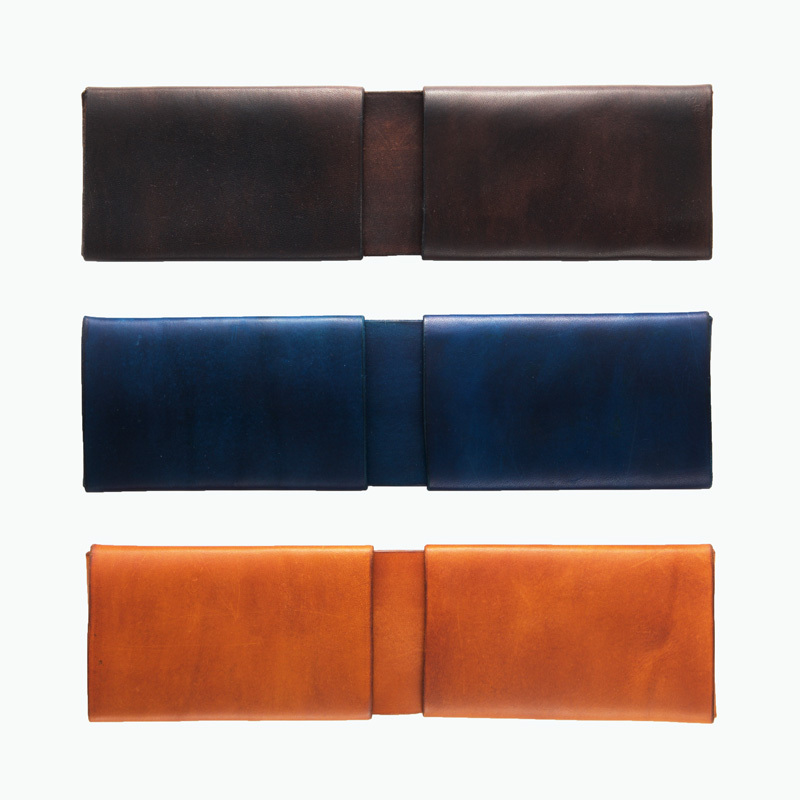 Each leather part is hand-dyed using cotton one by one to creates subtle gradation of color, which cannot be achieved by mechanically colored leather. 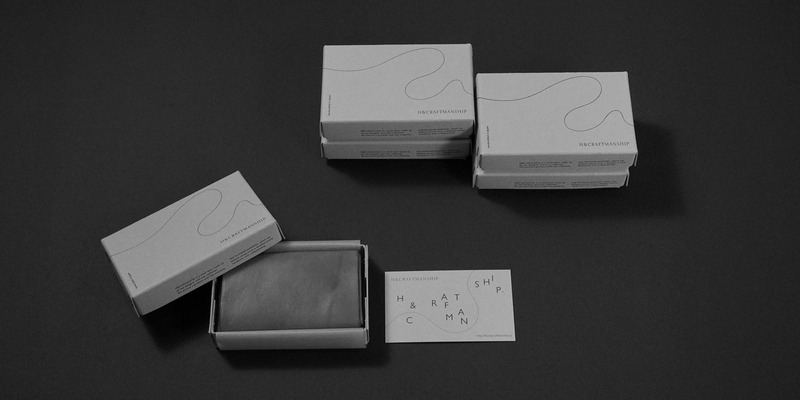 This product is packaged in a good old letterpressed, stapled box. 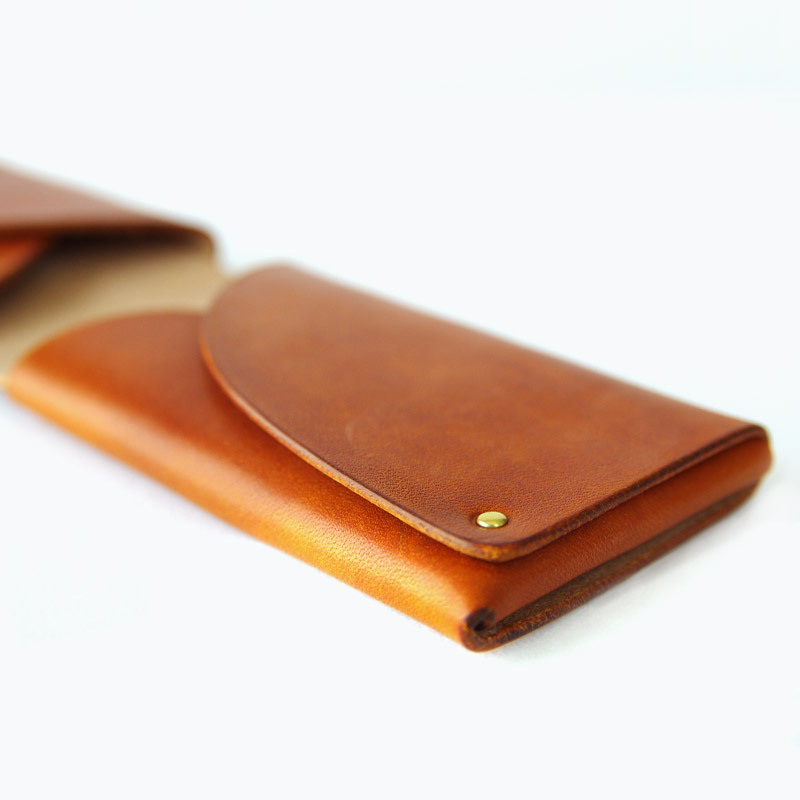 If you are purchasing it for a gift, please let us know.